Reed & Mackay is a strategic corporate travel management and services company and a leader in its field with a vision to attract, develop and retain the most talented people within the industry. Delivering outstanding service to clients has remained the focus for the business and by demonstrating ROI for customers significantly above any other TMCs we continue to outdistance our competitors. Reed & Mackay employs 450 people internationally with locations in Chicago, Philadelphia, Dubai, Frankfurt and several sites in the UK including Aberdeen and London. The company is currently expanding globally with further offices planned to open. 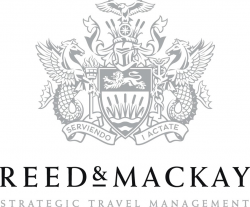 Alongside the extraordinary service provided to our clients, Reed & Mackay uses technology as a key differentiator in the corporate travel industry by capitalising on our in-house developed applications. This is an exciting time for the business and the IT Department is a key enabler in its success.